Made in the heart of the East Sussex Countryside by Arthur Alsop and Nic Walker. Both Cheese Makers are highly skilled Chefs and both have a lifelong passion for cheese and cheese making. They have allowed Cheese Making to completely dominate their lives and have developed some truly unique and distinctive products in a small but modern dairy. 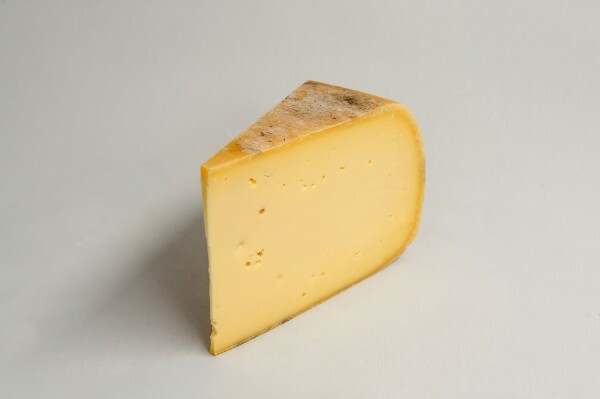 Mayfield is a semi hard wax coated cheese made from full fat pasteurised cow’s milk. It has a creamy sweet nutty flavour, which varies in strength from mild to full dependent on age, and contains naturally developed oval shaped holes in its interior, called eyes. It is aged for 5 – 7 months and is an excellent alternative to continental Alpine cheeses. Mayfield received a gold medal with 3 Stars at the Great Taste Awards and a gold medal at the 2010 British Cheese Awards and a gold medal at the 2011 World Cheese Awards.